When Sir Humphrey Miles Pinkerton Strange, 8th baronet and squire of the village of Batch Magna in the Welsh Marches, departs this world for the Upper House (as he had long vaguely thought of it, where God no doubt presides in ermine over a Heaven as reassuringly familiar as White’s or Boodle’s), what’s left of his decaying estate passes, through the ancient law of entailment, to distant relative Humph, an amiable, overweight short-order cook from the Bronx. Sir Humphrey Franklin T Strange, 9th baronet and squire of Batch Magna, as Humph now most remarkably finds himself to be, is persuaded by his Uncle Frank, a small time Wall Street broker with an eye on the big time, to make a killing by turning the sleepy backwater into a theme-park image of rural England – a vacation paradise for free-spending US millionaires. But while the village pub and shop, with the lure of the dollar in their eyes, put out the Stars and Stripes in welcome, the tenants of the estate’s dilapidated houseboats are above any consideration of filthy lucre and stand their ground for tradition’s sake … and because they consider eviction notices not to be cricket. Each disgruntled faction sees the other as the unwelcome cuckoo in the family nest. So, led by randy pulp-crime writer Phineas Cook, and Lt-Commander James Cunningham DSO, DSC and Bar, RN (ret) – a man with a glass eye for each day of the week, painted with scenes from famous British naval victories and landscapes that speak of England – the motley crew run up the Union Jack and battle ensign and prepare to engage.
" ... this is one of those marvelous classics that deserve a place in any permanent collection. An absolutely delightful, delicious, witty novel that uses language on a level rarely seen. Characters that would do a Dickens (without the doom and gloom), proud. If this isn't made into a BBC comedy series it will be the world's loss. Priceless characterization, right down to the lovable dogs, and descriptions of flora and fauna by someone deeply in love with the English countryside. It is a stunningly charming tale, one that becomes a part of your heart. A Wind in the Willows for adults. One of those rare books I must have a hard copy of, just to smile at on the shelf and reread for the pure pleasure of enjoying the work of a master of prose with the soul of a poet." Henrietta Bellows LaLa, United States, Amazon review. The entire novel sparks with this electricity. This signal use of synecdoche—letting the hand stand for the man, and the man for the life he had lived to the full—underscores Peter Maughan’s skill at crafting the language. I prefer to think of him as a sculptor—a Rodin in spirit but a Michelangelo in touch. Rooted in earth, swept along with the wind, burning with polished-copper fire ..."
E. Llewelyn (London, UK) essayist, poet, and author of the 'Suicide Ride' series, Amazon review. "I absolutely loved this wonderful book & it's colorful characters! It should be a BBC comedy like 'The Last of the Summer Wine' that we get here in America. Kudos for a fantastic reading experience. I just knew I was going to love it from the very first page!" Jeri S Connor, US, Amazon review. It is set in my part of the world, the Welsh Marches, and was made so real for me by the writing that I feel I could drive over there today, and enter that world of the river where they wake 'in summer to a mist on the water, the valley a pool of still green silence made deeper by birdsong, days when life is moved outside and there's a river to cool off in. And winters snug around the stove, with the sound of owls outside in the frosty dark or when a wind blows and there's rain on the roof' ... "
Carole Kelcher, Powys, Mid Wales, Amazon review. 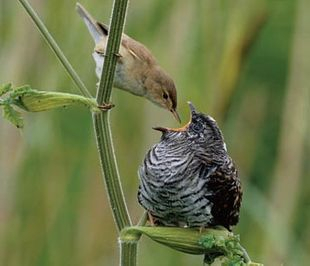 "The Cuckoos of Batch Magna is The Wind in the Willows for grown-ups - or for grown-ups who are still children at heart. It's described on its cover as the best novel of rustic rogery since The Darling Buds of May, another book I loved. It shares that book's lovely descriptive writing, eccentric characters and love of the countryside. 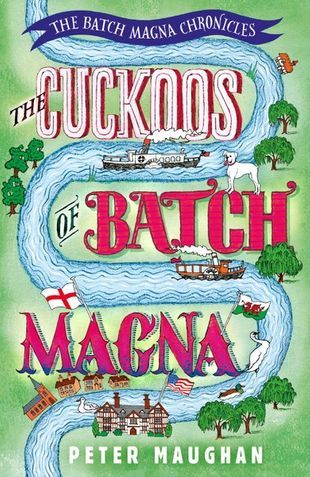 Mr Maughan has the gift of taking you into his world, the wonderful world of Batch Magna, its people and its river. I loved my stay there, intend to revisit it, to re-read it, and like the last reviewer I do so hope that there will be a sequel." Patrica Ridler, Warwickshire, UK, Amazon review. "The Cuckoos of Batch Magna is a book that I will read over and over again. I never wanted to finish because I wanted to be part of the community forever. It has been a long time since I have found a British novel that calls to my heart ... When I finished it and closed the door I felt a sense of loss, but also a sense that everything is alright in the world. The author wove a story of such mismatched characters and brought them together in a sense of unity that even surprised them. I know now that whenever I feel the need to escape this world of madness I can simply open this book and become one with Batch Magna. Thank you Peter Maughan for writing such a funny, sad and oh so true book!" Jenny Willis (VA,United States), Amazon review. "You know you love a book when you're a week past finishing it and you're still savoring the language... and missing the characters as if they were your close personal friends ... I wasn't sure if I would like this book, being a very serious American who usually reads long complex literary novels in which no one is ever happy, but I loved it. LOVED it. I found myself often chuckling, sometimes wiping a tear, and on a few occasions, reading sections aloud to my cat ..."
S. Kay Murphy (Ontario, CA USA) On Simply Being True.
" ... one of the main strengths of this book is the author's descriptions of rural scenes, e.g. 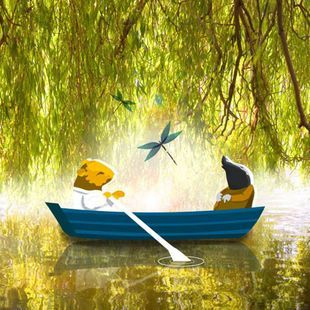 the Cluny River and its abundance of insects and wildlife, the verdant tree lined river banks, the boats, the meadows and pastures etc... all adding their own sense of realism and beauty to each and every scene." R. Nicholson (Canada) Top 1000 Amazon Reviewer. "The book blurb says that fans of MC Beaton will enjoy this book, but the only thing I can see in common with MC Beaton's stories is setting. By my reckoning, Mr. Maughan's writing style has more in common with Kingsley Amis than MC Beaton ... The Beaton books are formulaic and have no particular subtlety or beauty of language, so it's easy to read a chapter or two when sleepy and pick the book up again later. Not so with The Cuckoos of Batch Magna. You'll miss all the best stuff if you read this one when less than awake." "I first got this book out of the local library, and then brought a copy - I wanted to read it again and again. It's a treasure, a smashing read, funny and beautifully written. Pure escapism, and well worth the price of a ticket to Mr Maughan's world. I hope, along with other reviewers here, that a sequel is in the pipeline. I can't wait!" Anne James, (Devon, England) Amazon review. "... a lovely romp through a beautifully described English (when it is not Welsh) countryside full of hedgerows, meadows, and misty riverbanks, home to skylarks, peacocks, and an assortment of beloved mutts. The descriptions are to be savored, not skimmed. I thoroughly enjoyed my visit to Batch Magna, and am looking forward to reading the next book in the series." Pamela Grandstaff, author of the Rose Hill Mysteries, Virginia, USA.